Jason Aldean is going to be a dad of four. The 41-year-old country star announced in an Instagram post Tuesday that he's expecting his second child with wife Brittany Aldean. 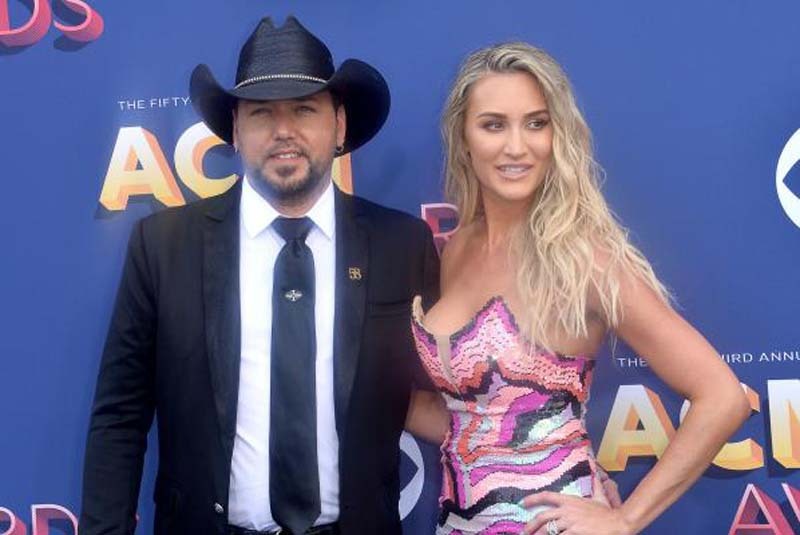 Aldean is parent to 7-month-old son Memphis with Brittany and to two daughters, 15-year-old Keeley and 10-year-old Kendyl, with ex-wife Jessica Aldean. He shared news of Brittany's pregnancy by posting a cute photo of Memphis. "Sup everybody....... guess who is gonna be a BIG brother! #thisdude #aldeanpartyof6," the singer captioned the picture. Brittany shared the same snapshot on her own account. "Here we go again!" she wrote. Aldean married Brittany in March 2015. He posted a photo with his three children on Father's Day in June. "One of the greatest gifts in life has been getting to be the dad to these 3 kiddos. I also had a pretty good teacher to learn from!! Happy Fathers Day to my dad @bigdawg1953 and all the other dads out there," the star wrote. Aldean is known for the singles "Night Train," "Tonight Looks Good On You," "Lights Come On" and "You Make It Easy." He last released the album Rearview Town in April.